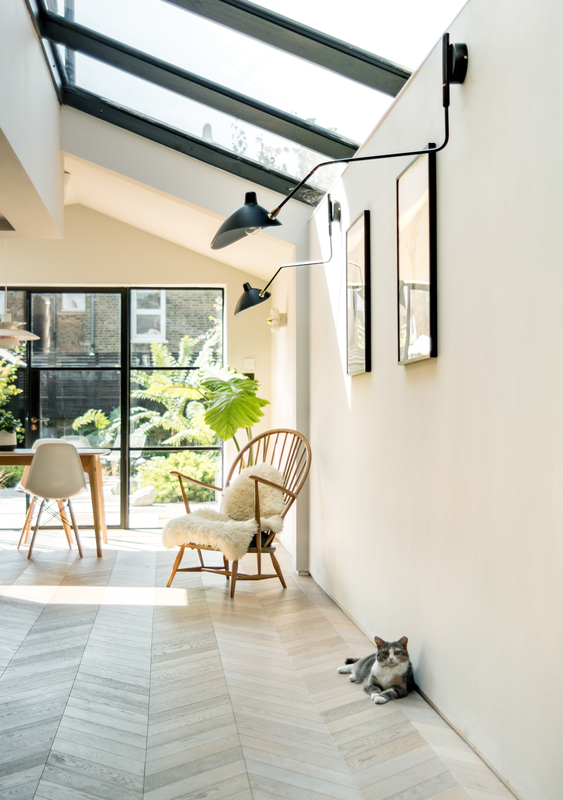 The recently completed rear extension to Brockley House is a collaboration between SAM Architects and Lunar Architects with the interior design by the client and the garden design by GRDN Landscape and Design. 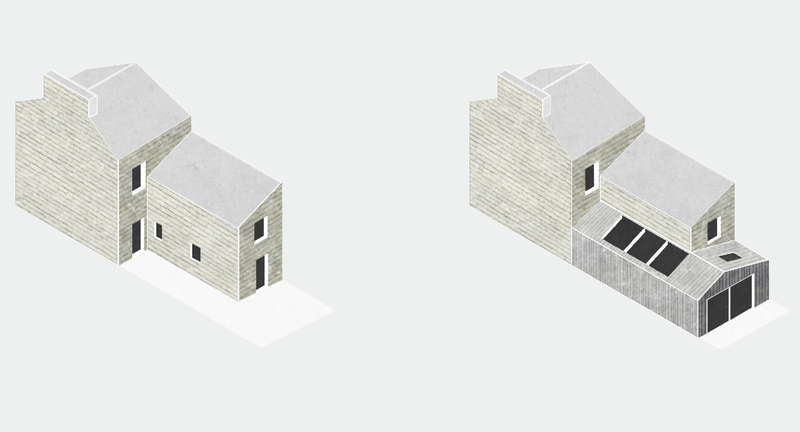 We worked closely together to develop the design for a large single storey rear and side infill extension. The design intention was to create a collection of spaces, which respond to the needs of a modern living. 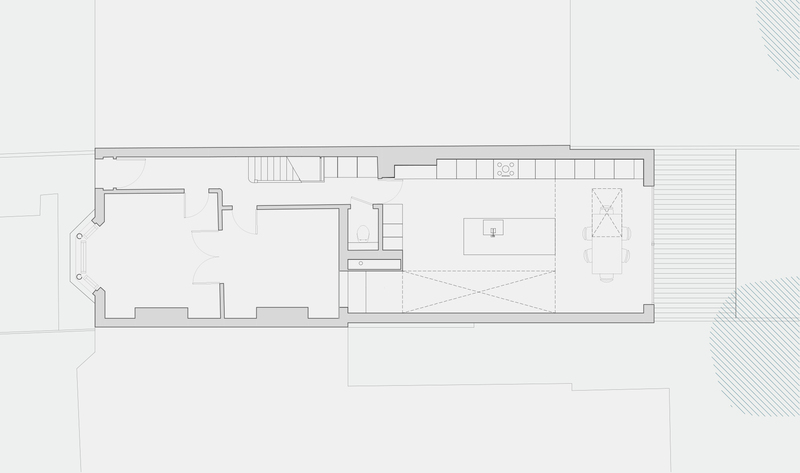 In this respect, there is an emphasis on open plan living with fluid circulation and interconnected spaces. 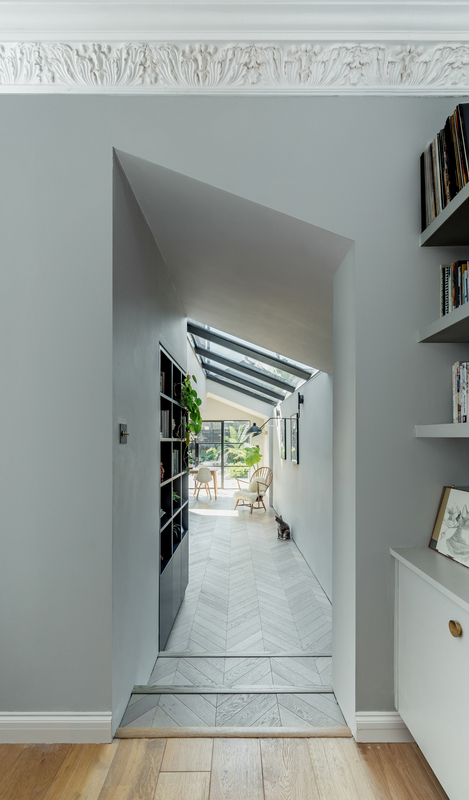 The extension is acting as a transitional space between the existing formal living and the outdoor space. 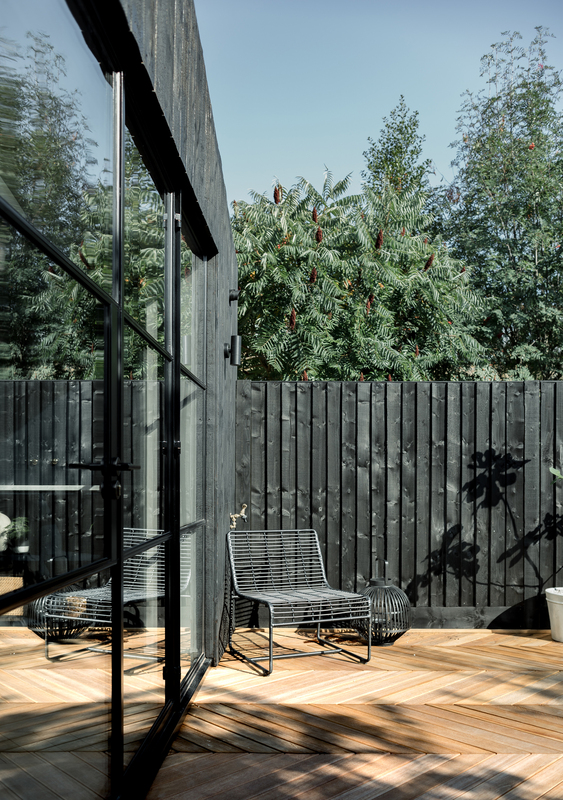 Externally, after careful consideration of the context, the design for a pitched volume emerged, which is not only a familiar language from the local architecture but also minimises the impact towards the neighbouring properties whilst maximising the height of the l dining space. 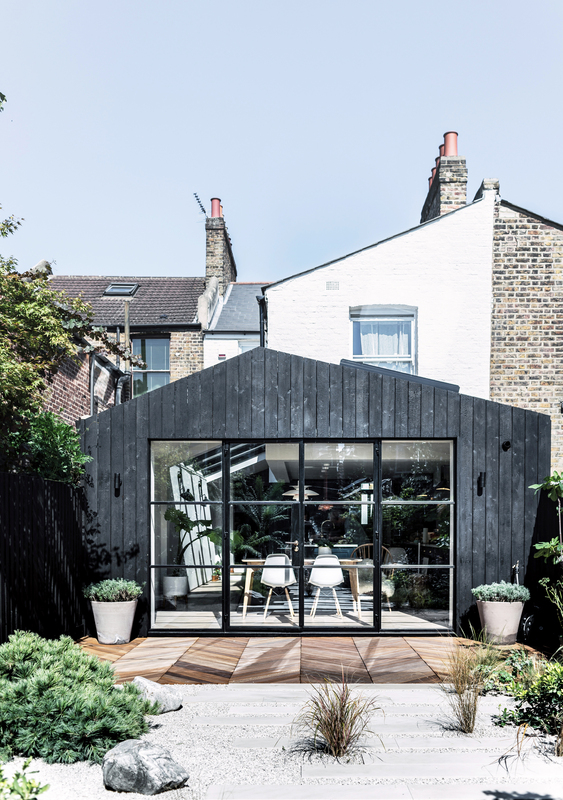 Black charred larch cladding by Shou-Sugi-Ban was used to clad the extension roof and walls distinguishing the addition from its Victorian context. 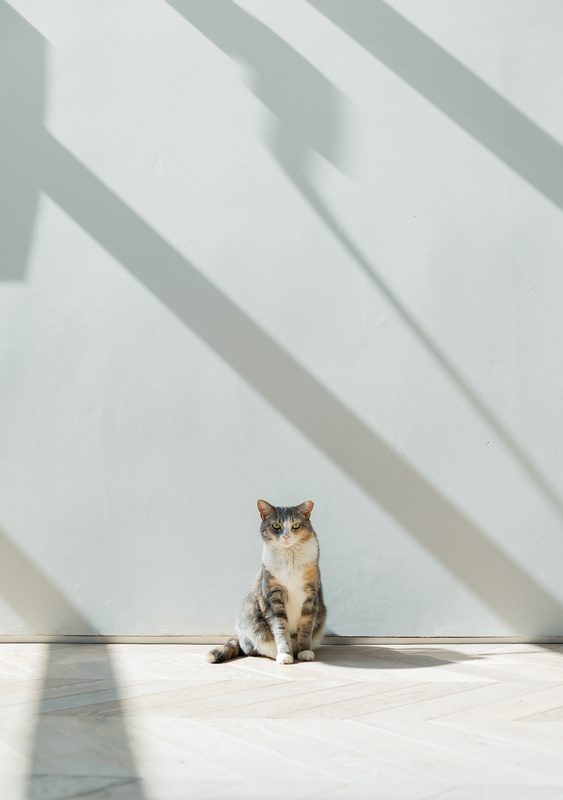 Together with the industrial style Crittal doors, this contemporary twist will age well and forms a positive example of how the use of material can have a positive impact on the local character and when your design is truly bespoke even the cat gets its own secret door to the garden.